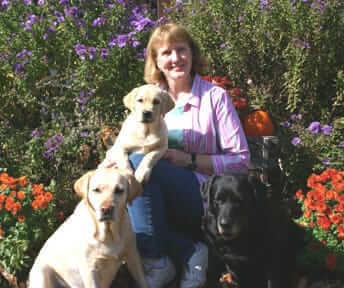 Corey is one of the 42 Labrador Retrievers entered (worldwide) and one of only 15 females. Ellen reported that Corey’s diet consists mainly of Life’s Abundance Premium dry food and Life's Abundance canned foods as toppers. She also gives Corey Agility and Skin & Coat Formula on a regular basis. Ellen said that Corey loves Tasty Rewards so much that it's her handler’s choice in the show ring. As you can see from the photos, Corey is truly a happy soul and a bit of a clown. Ellen said she’s always having fun and she makes everyone smile. 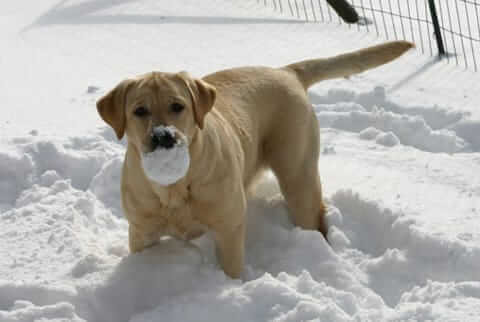 I too have a yellow Lab, Benjamin. 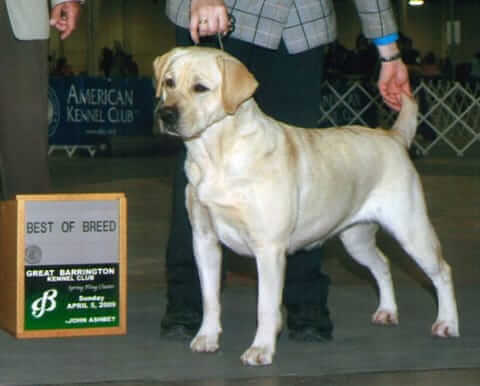 My breeder (Jack Shepard) is from FourMile Creek Kennels and produces beautiful dogs. He says that 98% are for hunting and 2% are pets. He also trains for obedience and hunting. Too bad he doesn't breed for show. Way to go Ellen and Corey! She is beautiful. Lunur said to tell you, Larry and all of his furry family members hello!! He is doing wonderfully well, and both he and Cheyenne have great health and beautiful coats thanks to Life's Abundance (and lots of love). They are having a blast in all of this snow! Live's Abundance food, and likes it very much. I personally know Ellen and the passion that she has for her labs and the Life's Abundance Products. I am so happy that for her and Corey and send congratulations. We call these two friends Dr. Jane's Specials since they wouldn't be nearly the beautiful and vivacious dogs that they are without the love that Dr. Jane puts into her products. What's up, I log on to your blog on a regular basis. Your writing style is awesome, keep up the good work! Keep up the superb works guys, I've added you to my personal blogroll. I need to thank you for this wonderful read!! I absolutely enjoyed every bit of it. I've got you book-marked to look at new things you post.